A new building initiated on a speculative basis for commercial letting including buildings that are substantially pre-let or sold on to an occupier. In this category only the base build is judged. 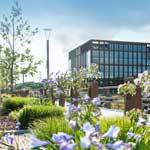 Number One Kirkstall Forge is acting as the spearhead for the transformation of the UK’s oldest continually industrialised UK site into a thriving mixed-use community. The seven-storey building is in the first phase of an ambitious £400m development which will comprise 1,050 new homes and a 300,000 sq ft office campus along with shops, restaurants, a gym, crèche and other facilities in a peaceful wooded waterside setting. The site’s first commercial building has been boldly conceived as a product which doesn't currently exist in the surrounding market - a city centre quality, grade A commercial workspace. It has been adapted to respond to evolving working practices in a rural location and sets a high standard in contemporary workplace design, subtly re-interpreting the site’s natural setting, delivering a truly unique office environment. This was an audacious move in such a traditional industrial setting and will help reposition the site and set the tone for the remaining commercial phases. As well as achieving EPC ‘A’ and BREEAM ‘Excellent’ accreditation, this development is the first Yorkshire building to secure ‘Platinum’ certification by the digital connectivity rating company Wired Score. A site wide transport plan has been introduced, alongside new bus services and enhanced footpath and cycleway connectivity, there is a car share scheme and cycle and scooter hire available for business/lunchtime trips. Tireless effort from the development team has been rewarded with a successful rail bid to secure Department for Transport support for a new rail station. The project is one of the largest and most inspiring regeneration projects in the north of England, and potentially the UK. This building has met its demanding expectations, by intertwining placemaking, industrial heritage, sustainability, cultural values and quality. Though always with the principles of a workplace at the core of the decision-making process. The developer has engaged with the wider public at all levels and used varied communication techniques to re-immerse the site, culturally and socially, back into the local community. This building has set the tone for future development on the site and created a sense of place, delivering a new and exciting lease of life for Kirkstall Forge. 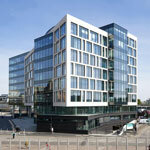 This building’s vibrant facades provide an entrance statement for MediaCity’s modern occupiers. The use of raw materials, exposed steel and suspended services create an industrial atmosphere appropriate for its digital occupiers. In what was a strongly contested sector, the judges were unanimous about the winning project. The winning building’s vibrancy, environmental efficiency and dynamic business environment all made it stand out from an impressive crowd. The refurbishment of the 1930’s former cinema integrates sensitively the old with the new and will help re-invigorate this location. 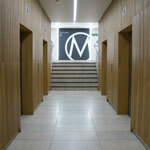 Through the impressively restored Art deco entrance, the building morphs from historic to modern with seven floors of light and open office accommodation. 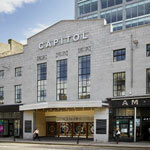 The Capitol gives a masterclass in high quality building restoration and is one of the finest examples of regeneration in action the judges have witnessed. This development was praised by the judges as a delightful new office building which maximises the development potential of a very difficult site, whilst respecting the surrounding heritage. The judges noted that traditional materials have been cleverly used to create a contemporary piece of architecture that blends effortlessly with its historic neighbours on the circus, which they cited as a mark of an intelligent and carefully considered re-development. Following its complete re-development, the BCO judging panel was impressed how the 1975 Richard Seifert Centre City building had been brought back to life. 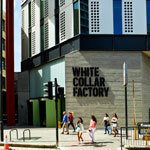 The judges’ highlighted that despite the challenging spatial legacy of the building, the project had managed to overcome this and maximise commercial appeal, with typical rental increases of 160% since the re-development. In addition, the judges said the fundamentals of access, circulation and daylighting have been achieved with simple, timeless and exceptionally cost-effective designs, and praised the building’s contemporary styling which still retains echoes of the 1970’s character. The BCO judging panel agreed that One Central Square has unquestionably catalysed urban regeneration in this area of Cardiff city centre. 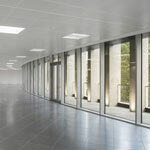 It was observed that throughout the building simple architectural principles have been applied cleverly in setting the layout, producing an elegant product which maximises natural light from every elevation and creates flexible floorplates. The judges also noted that the team has achieved remarkable value on this building, keeping costs low without compromising on the quality of the materials or workmanship. Legal & General / Rightacres Property Co. 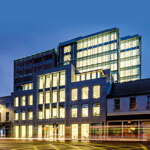 The Silver Fin building, was praised by the judging panel as a best in class office development which has revitalised the streetscape. The 132,000 sq ft development utilizes high quality, locally sourced materials, both internally and externally, and despite the physical constraints of the site has embraced the principles of the BCO guide to specification and achieved a BREEAM rating of Very Good and EPC A certification. The judges noted how the building core has been designed with tenants in mind, ensuring that common area spaces are proportional and functional and serve users in a ‘practical and elegant fashion’. Overall, the judging panel agreed that both Titan Investors (who developed the site speculatively), and the designers, should be proud of their ‘brave approach’ to the design and execution of this building, and of the impact it has had on the local areas. 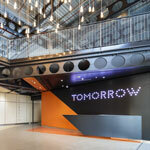 As the largest and most prominent space in the centre, One Station Square developed five floors of flexible Grade A office space to facilitate Amazon’s co-location of 400 staff and the development of the Alexa technology platform, a stunning 3-D display wall comprised of hundreds of voice assistants. 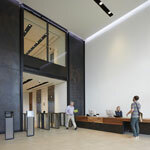 The BCO judging panel were impressed that the building delivered a space that was both commercially attractive to a range of national and multinational occupiers and provided a gateway to the ‘Cambridge Phenomenon’ of Innovation and Enterprise. 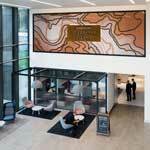 Designed in keeping with the style of Cambridge train station’s historic façade, the judges also noted that One Station Square has created a sense of place and improved the arrival experience for the city’s newcomers. The judging panel also drew attention to the project’s ability to adapt to a variety of design challenges in a busy public environment, and praised the building’s capacity to pull footfall away from the crowded main square. The 110,000 sq. 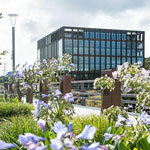 ft., seven-storey office building is part of the first phase of the ambitious £400 million development of Kirkstall Forge, which is being transformed into a thriving mixed-use community in a wooded riverside setting. 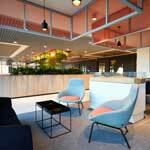 BCO Judges praised the way in which the building’s design pulls the outside in, creating a modern office which makes the most of its truly inspiring location. The project features a site wide transport plan, which includes new bus and rail services along with enhanced footpath and cycleway connectivity, a car share scheme and cycle and scooter hire. The panel were impressed by the way in which building owner CEG, in response to the residents’ and stakeholders’ call for a new railway station on the site, worked tirelessly with partners to deliver a successful bid to secure Department for Transport support for a new station, as well as their implementation of an infrastructure forward funding model to ensure its early delivery. The BCO judging panel agreed that Bourne Business Park – Phase III delivered flexible accommodation, high specifications and generous finishes in response to an ambitious brief. The development delivered for its occupiers a new café, bike storage and a trim trail that have helped the site deliver strong commercial lettings, which further impressed the judges. 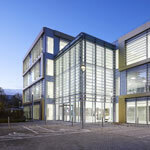 Additionally, the project’s strong sustainability and wellness credentials earned Bourne Business Park a BREEAM “Excellent” certification and an “A” EPC rating.